The X-ray structure analysis in Croatia was initiated by Drago Grdenić after his return from his doctoral studies carried under guidance of professors A. N. Nesmejanov and A. I. Kitaigorodski in the Institute of Organic Chemistry of Academy of Science in Moscow (1946-1948). His first rotation photograph was taken by Unicam S-25 camera on New Year's Eve 1948 in the Physics Department of the Faculty of Science where professor Mladen Paić already had set up X-ray diffraction equipment for powder diffraction. The results obtained in Zagreb were presented in three communications in 1949, 1950, and 1952. In 1950 by efforts of Boris Kidrič (politician), and Ivan Supek ( physicist), the Federal Goverment Decree guaranteed the foundation of the institute for fundamental research in physics and chemistry in Zagreb. 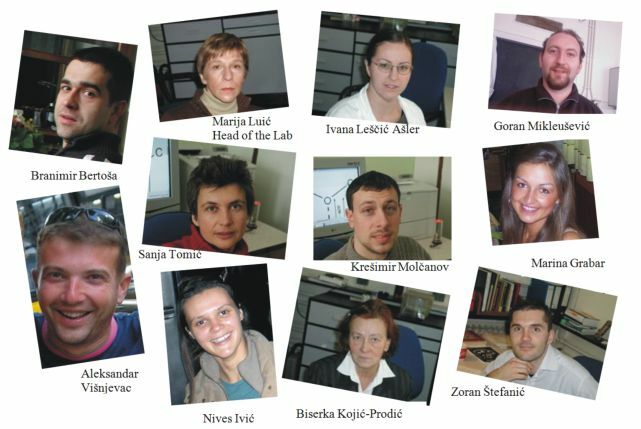 The interdisciplinary Rudjer Bošković Institute founded on the concepts of professor Ivan Supek enabled the research to scientists from the University of Zagreb who joined new young researchers of the Institute in developing science in Croatia. In 1951 the first Weissenberg goniometer was purchased together with Ilford films required for recording diffraction intensities, and subscription to Acta Crystallograpica was provided. In those days, facilities for X-ray structure analysis in Zagreb were not different from those in Europe. Professor Drago Grdenić was the first head of The Department of Structural and Inorganic Chemistry, constituted upon his concepts and founded in 1952, including X-ray Laboratory. The most significant scientific results from that period were determinations of crystal structures of organic molecules, phthalylurea (published in 1953) and mellitic acid (published in Nature, 1960) solved by original direct methods designed by Aleksadar Bezjak under supervision of D. Grdenić. In those days neither sophisticated computers nor computer programs were available and structures were solved from projections. The existence of a novel mercurated oxonium species, as a part of PhD thesis of Stjepan Šćavničar under supervision of D. Grdenić, was published in Nature (1953). The structure of thorium(IV)acetylacetonate, solved by Boris Matković under supervision of D. Grdenić, revealed an Archimedean antiprism as the coordination polyhedron around thorium. For the first time such geometry was detected for an octa-coordination and the result was published as a short communication in Nature (1958). In early fifties of 20th century, the X-ray laboratory was set up on the experiences from British, French, and Russian crystallographic schools. From the first days of the foundation of the X-ray Laboratory to the present days two research lines have been maintained: to develop and implement experimental techniques and numerical methods needed in the X-ray structure analysis. During the forthcoming years the research was focused on synthesis of heavy metal alkaline phosphates by a melt technique and determination of their structures from projections; among them a new type of ferroelectric substance without hydrogen bond was discovered. 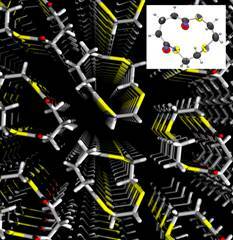 Later on, the interest was shifted to transition metal complexes and their structures. At the time when direct method programs, such as Multan, were available, structures and conformations of organic molecules, including pharmaceutically and biologically active molecules, were the objects of research. In addition to studies of various groups of organic compounds the research involved plant growing hormone auxin and its analogues, peptides, sugars, and pharmaceutically active compounds (cimetidine, ranidine, pyroxiam, diltiazem and some of their derivatives). In search on structure-activity correlations the spectroscopic methods, bio-assays, and molecular modelling were used. Since 1985 Camridge Structural Database has been available in Croatia via National Affiliation Centre of Cambridge Crystallografic Data Centre. In 1989 a first diffractometer with a point detector was purchased. Over forty years the research was dedicated to chemical crystallography in order to provide data on structural characteristics and properties of molecules, to understand intramolecular and intermolecular interactions, and to visualise the crystal packing and topology of hydrogen bonds. As the activities were more and more concentrated on biologically active molecules and their interactions, the Laboratory for Chemical and Biological Crystallography was founded in 1997 with the aim to introduce protein crystallography. Since then interactions of enzymes (hydrolases) with substrates and inhibitors have been studied in order to resolve their catalytic mechanisms at molecular level. The study of proteins and their interactions relevant for a cell life has been active since 2006. 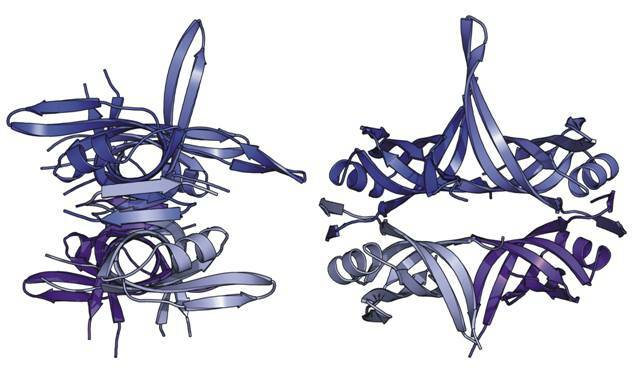 Progress in protein crystallography has been supported by in-house modern diffractometer installed at the end of 2007 and by the efforts of the team to introduce biochemical and genetic methods. Two views of the single-stranded DNA-binding protein from Streptomyces coelicolor, the first X-ray structure of an SSB protein from a member of the genus Streptomyces (Z. Štefanić, D. Vujaklija and M. Luić, Acta Cryst. (2009). D65, 974–979). In the X-ray Laboratory, powder diffraction was also used for the phase analysis and studies of micro and nano crystalline materials. New methods for accurate unit-cell parameter measurement were proposed: 1st, which was based on the separation of adjacent diffraction lines rather than on their angular positions (J.Appl. Cryst.6(1973)122,411); 2nd, which combined single-crystal zero-layer rotation and Weissenberg patterns with powder diffraction pattern (J.Appl. Cryst.7(1974)291). The methods for quantitative phase analysis were introduced, in which a multicomponent sample was doped with those components the fractions of which were to be determined ( J.Appl.Cryst. 12(1979)205; 16(1983)505 ). Phase diagrams of semiconductors (Ax B1-x )2III(Cx D1-x ) 3VI and AI(BxC1-x)IIID2VI were systematically studied and related to electrical properties (e.g. J.Appl.Cryst.13(1980)24). High temperature phases of In2Se3 were defined (J.Appl.Cryst. 12(1979)416). Microstructure and phase diagrams of a series of mixed metal oxides (e.g. ferrites, orthoferrites, alumina, zirconia, titania), prepared along different procedures, were systematically studied in the whole concentration region by X-ray powder diffraction, Raman, FT-IR and Moessbauer spectroscopies, in collaboration with the Department of Materials Chemistry, Rudjer Bošković Institute. The processes of biomineralization of bivalvia have been studied in detail in collaboration with the Center for Marine Research, Rudjer Bošković Institute (Marine Biology 129(1997)615).